How do I use an answering machine with my fax? 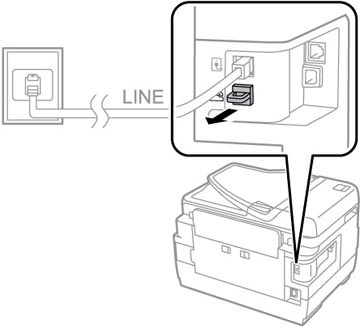 You must connect your product to a telephone wall jack to send or receive faxes. If you want to use the same telephone line to receive calls, you can connect a telephone or answering machine to your product using an additional phone cable. Note: If you do not connect a telephone to your product, make sure Receive Mode is set to Auto. Otherwise, you cannot receive faxes. 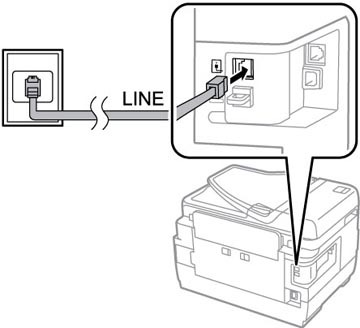 Connect a phone cable to your telephone wall jack and to the LINE port on your product. Note: If you have a DSL or ISDN connection, you must connect the appropriate DSL filter, or ISDN terminal adapter or router to the wall jack to be able to use the line for faxing or voice calls using your product. Contact your DSL or ISDN provider for the necessary equipment. 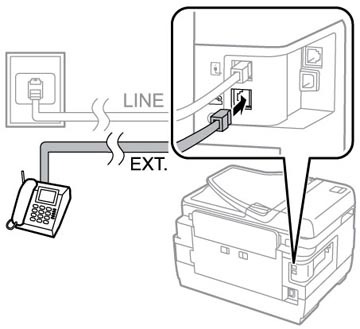 If you are connecting a telephone or answering machine to your product using a second phone cable, remove the cap from the EXT port on your product. 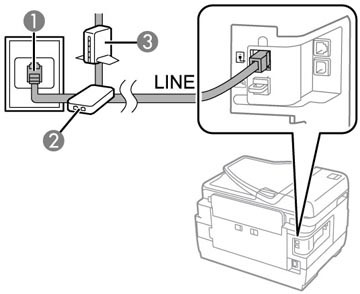 Connect a second phone cable to your telephone or answering machine and to the EXT port on your product. Note: If you connect an answering machine and Receive Mode is set to Auto, set the number of rings before your product answers a call to a number that is higher than your answering machine's setting for the number of rings. 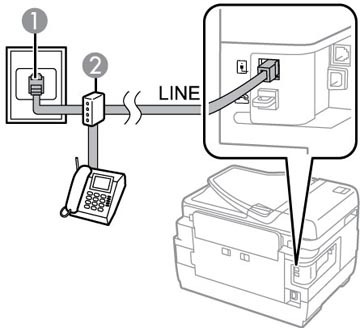 Any phone or answering machine must be connected to the EXT port for your product to detect an incoming fax call when the phone is picked up. Epson cannot guarantee compatibility with VoIP, cable phone systems, or fiberoptic digital services such as FIOS. Published: Nov 16, 2017 Was this helpful​? Thank you for the feedback!